In addition to the solo guitarist competition, this year there will also be a competition for chamber music ensembles with guitar. Guitar ensembles and guitar duo’s can participate, as well as duo’s or ensembles with guitar and other instruments. This competition is for conservatory students and young professionals. The chamber music competition for conservatory students and young professionals will take place on Thursday May 10th at the ArtEZ conservatory in Enschede. Participation fee is €20,- per ensemble member. 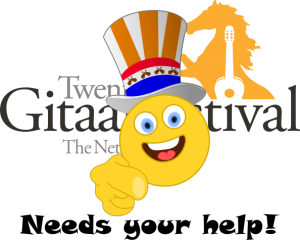 First prize: a payed concert during the next edition of the Twents Guitar Festival! For the regulations of this competition: click here.